Why Is the Lymphatic System at Risk from Drug or Alcohol Abuse? 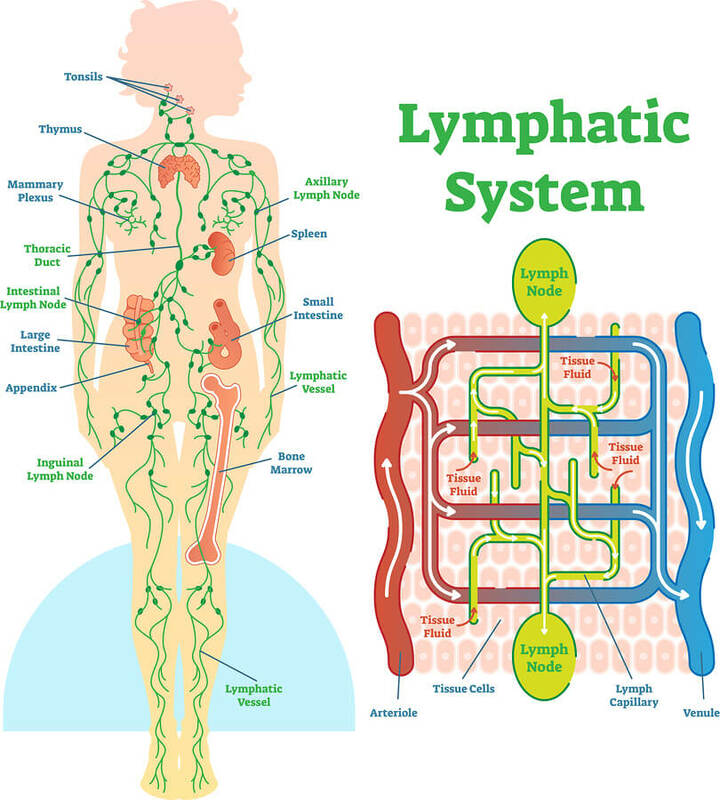 The lymph system or lymphatic system is an extensive network of vessels that run through nearly every tissue in the body, allowing for the movement of lymph, a fluid, to circulate throughout the body in the same manner that blood circulates. There are approximately 600 nodes in the body that swell when an individual has an infection. The swelling is due to the accumulation of lymph fluid, bacteria, and other organisms and or cells from the immune system. 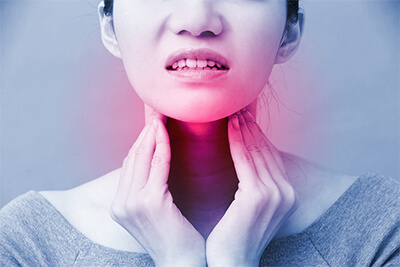 Very often, a physician will check the lymph nodes of the throat when a person is complaining of a throat infection, irritation, or sore throat. Physicians may also check the lymph nodes under the jaw, groin area, or even under the armpits when checking for an infection. Lymphatic vessels: These are larger than the capillaries, part of the venous system that feeds specific tissues, but smaller than most veins. Most of the lymphatic vessels only allow for the movement of lymph in one direction (toward the heart) and drain lymph from the system. Lymph nodes: These are collection centers for lymph. All lymph passes through these filters, which help to remove damaged cells and foreign particles in the body. Lymph nodes also contain white blood cells that are specialized to engulf and destroy damaged cells, foreign particles, and infectious organisms. Lymph: This is a specialized fluid that contains numerous substances that can provide nourishment to the tissues and can move damaged cells or infectious substances that are drained out of the body. Maintaining fluid homeostasis: The system maintains the balance of fluid between the blood and the rest of the tissues in the body. Defense: It is part of the immune system. Digestion: It helps absorb fats and fat-soluble substances in the digestive system. There are numerous influences that can affect the functioning of the lymphatic system. In order to simplify things, we’ll concentrate on three major factors that can disrupt the functioning of the lymphatic system: blockages, cancer, and infections. Lymphedema is an accumulation of fluid in the limp nodes that can occur as a result of scar tissue when the lymph nodes are damaged or by an infection of lymphatic vessels with a threadworm that blocks the lymphatic ducts in the system (filariasis). Continuing use of drugs and alcohol, particularly when drugs are injected, can lead to significant scarring in the venous and lymphatic system that can facilitate the development of blockages in the lymphatic vessels. This can lead to significant issues with functioning of the lymphatic system and results in greater susceptibility to disease, which will further compromise the system. Moreover, the development of cancer in the lymphatic system (lymphoma) can block the lymphatic system. Tumors can block the lymphatic ducts or metastasize (travel) to lymph nodes interfering with the movement of lymphatic fluid through a node. It is rare that tumors actually develop in the lymphatic system, but this can occur. The risk for developing numerous types of cancer occurs with chronic substance abuse. Several major substances of abuse can contribute to the increased risk of developing cancer. Tobacco products: The American Cancer Society reports that nearly 30 percent of all deaths due to cancer are attributed to tobacco use, and this risk does not end with lung cancer alone. The smoke from tobacco products contains numerous potentially harmful chemicals, and many of them can be linked to the increased risk of getting cancer. Cigarettes are not the only method of tobacco use to increase the risk of getting cancer. Any type of tobacco product, including smokeless tobacco and e-cigarettes, are linked with an increased risk to develop cancer. Getting any form of cancer, particularly cancers that can metastasize, will increase the risk of compromised functioning of the lymphatic system. Alcohol: Chronic use of alcohol, especially heavy alcohol use (more than an average of four drinks per day for men and more than three drinks per day for women) can lead to an increased risk of developing cancer, according to the National Cancer Institute. The more alcohol an individual drinks and/or the longer person continues to regularly use alcohol, the greater the risk for the development of cancer in anyone. Marijuana: Research studies have determined that there is an increased risk for numerous types of cancers as a result of chronic marijuana use, even though some of the substances in cannabis products may have cancer-fighting properties. Intravenous drug use: The practice of needle sharing can result in increased risk for numerous infections (see below), which can lead to cirrhosis of the liver and hepatocellular carcinoma, a form of liver cancer. Cocaine: Cocaine sold on the street is commonly mixed with other substances to dilute or “cut” the drug and to provide more profits to drug dealers. Many of the products that are used to cut cocaine can contain carcinogens. Crystal meth (methamphetamine): The forms of methamphetamine sold on the street are manufactured using numerous substances that can be potentially carcinogenic, including benzene and other products. Ecstasy (MDMA): Substances used in the production of ecstasy for recreational use have been shown to have a connection with cancer in laboratory animals. Any street drug: Any street drug that is manufactured by private individuals could potentially contain carcinogens. This includes numerous drugs of abuse, including certain types of opiate drugs like heroin, Spice/K2, and other designer drugs. Alcohol: It may very well be that using very small amounts of alcohol can increase functioning of the immune system; however, moderate to excessive alcohol use is a well-known risk factor for the development of numerous types of infections and diseases. Chronic use of alcohol can lead to an increased risk for pneumonia, HIV, hepatitis, tuberculosis, and other diseases that can compromise the functioning of the lymphatic system. Opiate drugs: Chronic use of opiate drugs has been associated with decreased immune functioning in numerous research studies. Moreover, chronic abuse of opiate drugs that can compromise liver functioning can lead to an increased risk for the development of disease. Opiate drugs may directly affect an individual’s immune system as well as result in people neglecting important aspects of their self-care, which can leave them open to infection or diseases (e.g., needle sharing). Cocaine: Cocaine abuse can affect the immune system through many avenues and result in an increased liability to develop infection or disease. For instance, chronic cocaine abuse suppresses the gland that produces the immune cells T lymphocytes, which attack foreign invaders. Of course, chronic cocaine abuse can also lead to exposure to numerous toxins, which can also affect aspects of the immune system’s functioning. It is safe to say that any type of chronic substance abuse can lead to a disruption of the efficiency of the lymphatic system. This can result due to a lack of attention to self-care, the direct effects of the drug itself, or the effects of substances that are added to the drug for various reasons. Compromise of the lymphatic system can lead to serious health issues that can eventually alter the course of a person’s life or even end it.